In France we have a saying “donner de la confiture aux cochons” (giving jam to pigs), which means giving something to someone who doesn’t deserve/appreciate it. Did they ever! 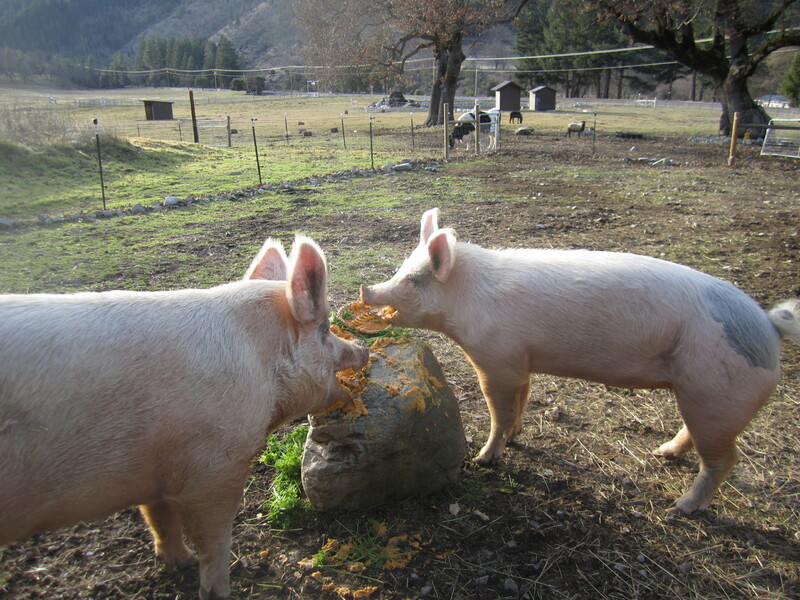 Those were very happy pigs… and such fun to watch them eat with abandon! Those are some lucky piggies! You Are truly sharing with everyone and everything! Love e photos today. 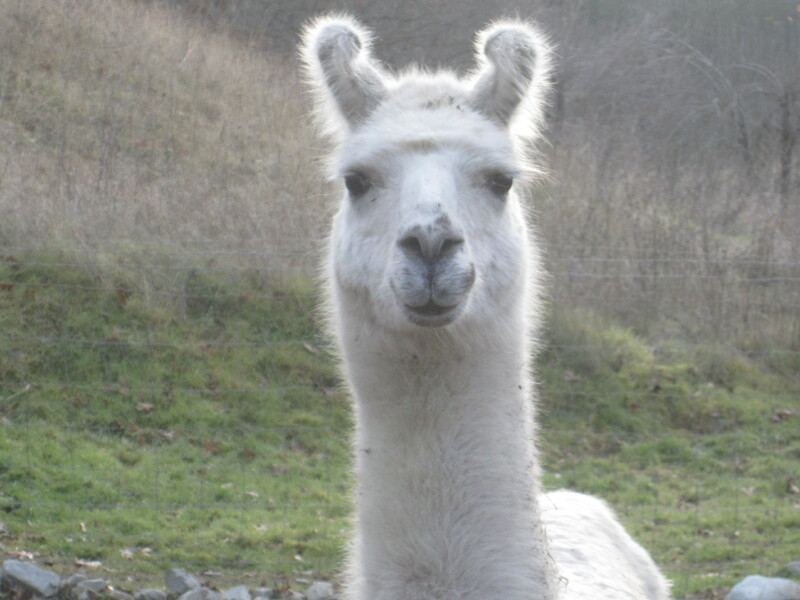 Thanks Connie… I especially love the llama photo… so much seems to be going on behind those eyes! Lisa and Lulu told me to tell you THANKS! 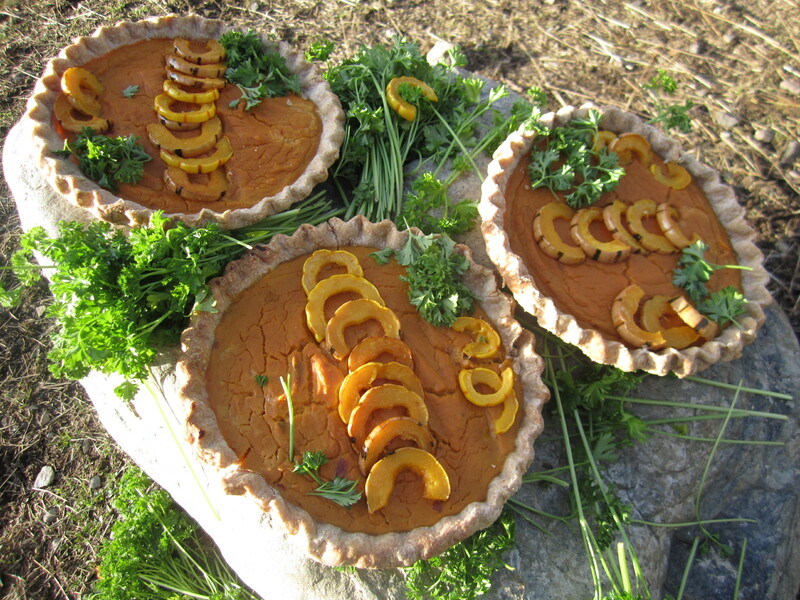 for the pies. Pigs are smart and have a good memory, so don’t be surprised if next time you visit they give you a good sniffing-over looking for some more of that yummy stuff from the Pie Lady. It will be hard to top the photos on this post… it was such fun to visit the sanctuary and see how it has developed over these years. What a wonderful thing you have created… thank you and thanks to everyone that is part of it. I will look forward to being sniffed by the pigs sometime soon! Funny they don’t eat the skin, you’d think they’d gobble the lot! Picky pigs. Gastronome pigs! I love this idea, I love the pictures, and I love you!! 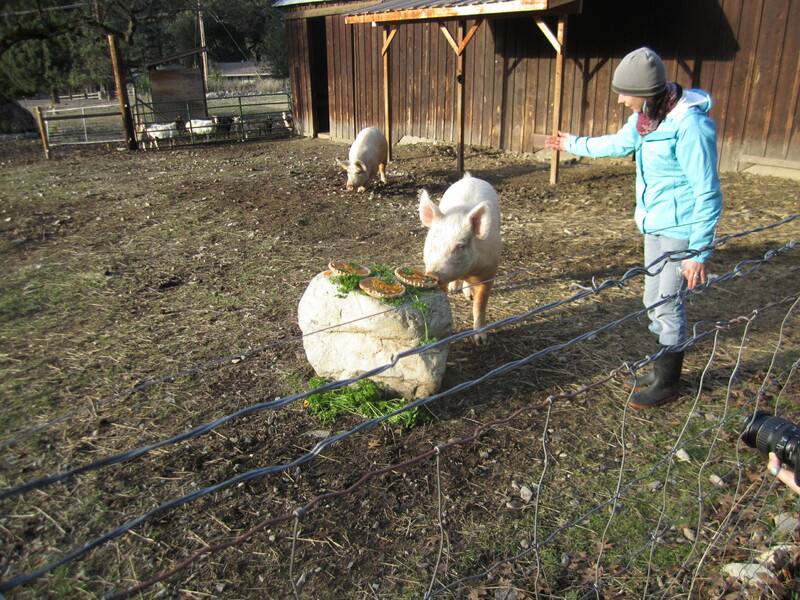 Very sweet to take care of everyone – even cute pigs! !